John B. King Jr., the former secretary of education and nationally renowned advocate for educational equity, delivered a compelling speech at the 49th Annual Lehman Lecture, advocating for ways to close the achievement gap at the nation’s primary schools and universities. In his speech entitled "Leveling the Playing Field: Closing the Achievement Gap in the Nation’s Schools and Universities," King advocated for solutions to endemic problems such as the critical importance of increasing the number of African-American and Hispanic teachers represented in the public schools. He also stressed the importance of confronting implicit bias in schools, and how exclusionary discipline unfairly singles out minority students. He praised programs at universities like Georgia State, where "intrusive advising" helps students navigate obstacles to getting a degree, and the city of Chicago’s post-secondary program that seeks to help high school students establish future goals. King, who currently serves as president and CEO of the Education Trust, a non-profit organization that aims to identify and close opportunity and achievement gaps, also laid out the vast educational challenges facing the country, New York City, and the Bronx, by revealing the massive achievement gap that exists between white, African-American, and Hispanic students in the New York City public schools. Earlier in the day, King toured the college and met with Lehman students who described to him a college that demonstrates a "culture of care" and as a “campus with a clear vision” for the future. King recalled a student telling him: "When I look at faculty members who are Dominican like me, I think to myself, 'Wow, you did it, I can do it.' He told the audience: "That's powerful and that's what the Lehman community is about." He also praised the College’s 90x30 plan to double the number of degrees and high-quality certificates by 2030 but challenged the College to go beyond 90x30. "There is much that Lehman is doing and will continue to do in fulfilling President Cruz's vision of doubling the number of high quality degrees and credentials," said King. "I want to suggest several keys ways that I want to challenge you to add some new ambitious goals to 90x30." King discussed the critical importance of forging partnerships with P-12 educators to help improve the transition from secondary school to college. He suggested making a borough-wide commitment to ensure that every graduating high school student completes the Free Application for Student Aid. (FAFSA) The Department of Education uses FAFSA to determine eligibility for loans, grants and work-study programs. He advocated for a "community wide commitment" to ensure that every student in the Bronx sign up for first lady Michelle Obama's "Reach Higher" initiative to encourage students to continue their education beyond high school. He also suggested that Lehman establish partnerships to replicate Chicago’s commitment to making sure students graduate with a post-secondary plan-and to use “post-secondary navigators” who serve as advisors to help students create and implement those plans. He emphasized that student success was dependent on developing well-trained teachers and school leaders. King told his moving personal story about how as a boy growing up in Brooklyn he lost both of his parents at young age and how one particular public school teacher saved his life by giving him a sense of optimism about the future. "He gave me a sense of hope when I didn’t have a sense of hope myself," he said. "The only reason I'm standing here today, the only reason I'm alive today, is because of New York City school teachers." In 2011, King became the first African-American and Puerto Rican to become New York State education commissioner, a post he held until 2015. He served as Secretary of Education under President Barack Obama from 2016 to 2017. Obama called King an "exceptionally talented educator" with a strong commitment to "preparing every child for success." In his opening remarks, Lehman President José Luis Cruz introduced the former secretary as an American leader who has increased opportunities for "countless individuals." 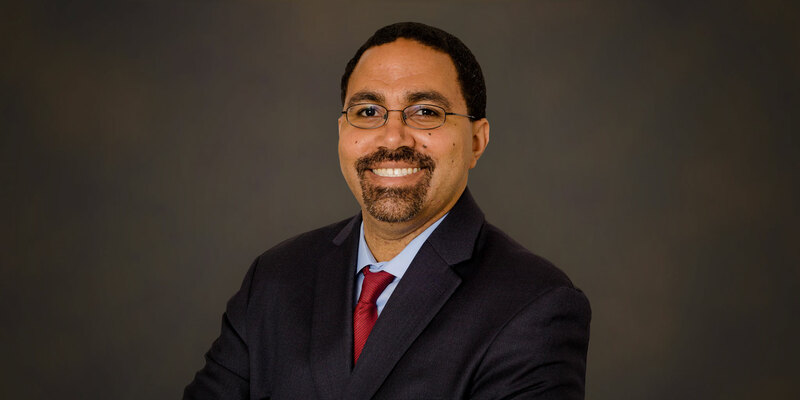 "It is only fitting that John B King Jr, one of our nation’s foremost defenders of equity in educational policies and practices, deliver this year's Lehman Lecture as the College takes on the challenge to expand opportunity in the Bronx and beyond as we enter the second half of our first century," said Cruz. "Dr. King’s own schooling mirrors the kind of transformative journey experienced by many CUNY students who seemingly face insurmountable hardships along the way but find transcendence in learning and support in a community of educational mentors." Cruz introduced the Lehman Lecture as "setting the stage" for the Lehman College 50th anniversary celebrations.